Your contacts are the most important data in your phone. Is it messed up? Make is clean and organised in single tap. 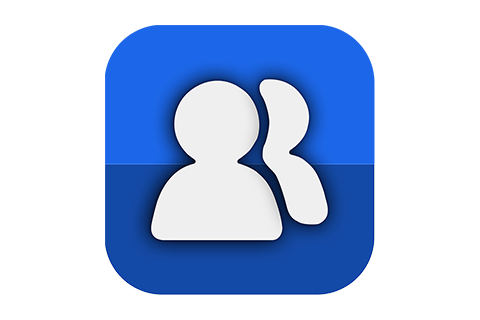 ‘Duplicate Contacts’ is the easiest way to merge your duplicate contacts. On the other way, it minimises duplicated contacts to merge in a single contact and delete the other duplicates. Duplicity is checked based in Phone / Mobile Number and Name. ‘Duplicate Contacts’ app is giving you the option to run the duplicity operation in a single gmail account or Device or SIM. We recommend to merge your contacts carefully when you are checking among all accounts. This may cause to delete a contact from an account and merge under another account. Each of the below features work for single gmail / device or all accounts of the Phone. 1 .Duplicate Contacts Detector : Detects all duplicates contacts on your phone based on Name & Phone / Mobile Number. 2. Duplicate Contacts Remover : Removes all above identified exact number duplicates & makes you contacts clean. 3. Duplicate Numbers Merger- Phone / Mobile Number Based Duplicate : Merges maximum 3 phone numbers under a single name and remove other contacts. 4. Contact Numbers Displayer : Shows contact numbers account wise.